. استمتع بالخدمات الراقية والضيافة التي لا مثيل لها بهذا الفندق في بريسبان. يقدم الفندق واي فاي مجاني في جميع الغرف, مرافق مخصصة لذوي الاحتياجات الخاصة, تسجيل وصول/خروج سريع, تخزين الأمتعة, واي فاي في المناطق العامة لضمان الراحة القصوى لضيوفه. تعكس غرف الفندق البالغ عددها 44 المنتشرة في 7 طوابق جواً من الدفء والألفة.خدمات عصرية مثل تلفزيون بشاشة مسطحة, غرف لغير المدخنين, مكيف هواء, تدفئة, مكتب موجودة في بعض الغرف المختارة. يقدم الفندق مجموعة رائعة من الخدمات كمثل مركز للياقة البدنية, ساونا, حمام سباحة خارجي، لجعل إقامتك تجربة لا تنسى. إن شقق جابا سنترال باي فيفو هو خيار ذكي بالنسبة للمسافرين إلى بريسبان، بما يوفره من إقامة هادئة ومرحة. يتم تطبيق رسم إضافي بنسبة تتراوح بين 1,25% و1,5% عند استخدام البطاقة الائتمانية. يُرجى الاتصال بالعقار لمزيد من التفاصيل. I stayed in the cheapest room which i considered fair value when free parking is included. The parking is located on the very ground floor of the car park and there were many spare spaces when i was there. If you are arriving out of office hours you will need to call a helpline who will guide you through an entrance process, which was quite easy. The room itself was quite small and as such i wouldn't like to spend an extended amount of daylight time in it, but it was well kept and had all of the basics, including hot water and tea and coffee. 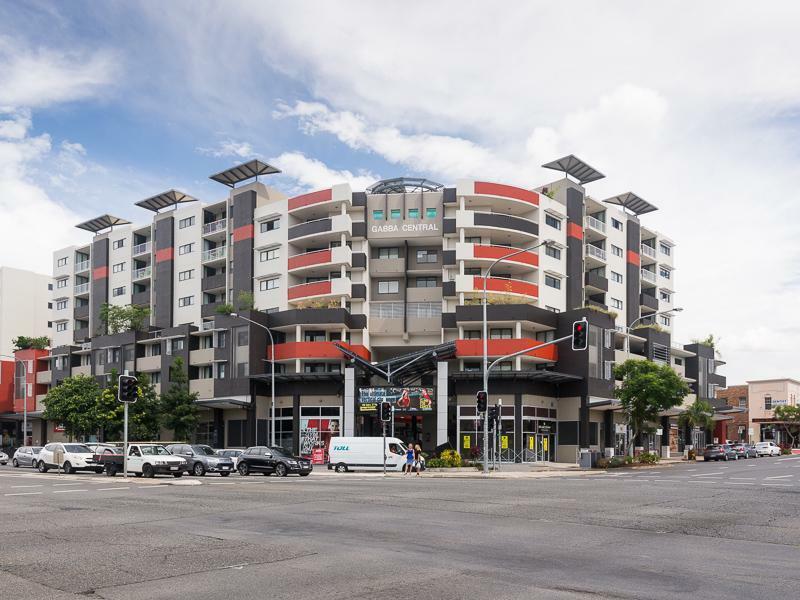 There is a small pool and BBQ's which are available to guests and were basic, though probably adequate, There are shops downstairs and a fairly big bus terminal across the road, as well as the Gabba sports ground. I caught an Uber back to the apartment from the Valley and the cost was approximate $12. I can recommend Gaaba Central Apartments and would stay again. Brilliant studio apartment which had everything we needed to self cater. Underground parking very useful and the Coles, cafes and restaurants in the complex are very convenient. Across the road Woolengabba Bus stop has lots of routes to the city. We walked back from the gardens in town and it only took about 30 mins. Rooftop pool was small but refreshing. We have stayed here twice now, just overnight, when we had events on in Brisbane. The apartments are perfectly located, the staff super friendly and professional, and the apartments themselves, perfectly adequate. The only reason I didn't give it a perfect score was that the cleanliness of the shower in our room left a lot to be desired, lots of mould and almost what looked like a type of sludge in the corners and the shower screen itself had a lot of lime scale along the bottom of the door. Yuck! When cleaned properly this shouldn't happen. The apartment itself however, was lovely and clean. Will definitely stay here again when next in Brisbane overnight, and will definitely recommend to others. Hotel was good,the complex has everyting you need for yout stay when going to the football across the road. The lady at reception is there greatest asset "Kat" made our stay that much with her friendly manor and excellent care during our stay. Would be nice if the big bed was not 2 singles pushed together. However was comfortable, friendly staff with clean and well kept room. It is a good choice for budget travelling. 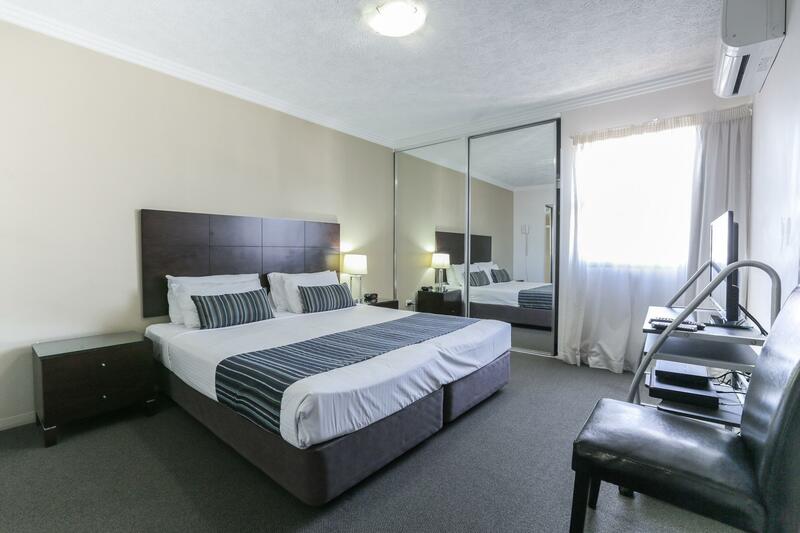 It is conveniently located near bus stops and it is easy to go to supermarket, post office and restaurants. The staff are nice and helpful. Large clean apartment with everything you need. Check in was a breeze and having the supermarket just downstairs was great! Will definitely stay here again. The fire alarm went off not long after I checked in. It took the fire fighters about 30 minutes to announce that it was a false alarm. The next day it happened again at about the same time. Again it was declared a false alarm. Coles, Viet bakery, pub, Korean grocer, coffee shops, Japanese restaurant, Chinese noodle and Nandos are all in the same vicinity. Woolongabba bus station is just across the road so is the Hyuandai Stadium (Gabba). Easy access to everywhere. Cleanliness is very disappointing. You can feel the dirt in carpet floor if you walk on it bare footed. Really enjoyed my stay here. The staff were friendly, helpful and unobtrusive. Getting to and from was a dream. I swam each day, and there was no one else using the pool. If you're in town on business, I recommend these apartments. We stayed here for the convenience to attend BigBash game at the GABBA as live on the southern Gold Coast. Pleasantly surprised by the apartment, both the bed and sofa bed were very comfortable. Coles downstairs & kitchen in room very easy to keep meal costs down. Will definitely stay again for any future games. The car park is confusing the first time, could do with better signage. Excellent value for a family holiday. Nice modern airconditioned accommodation. The facilities surrounding the apartments were excellent, absolutely everything you would need within walking distance. Only negative would be not enough supplies left in the room for entire stay ie toilet paper, bin bags, etc. we will definitely stay there again! My third stay here and it's good value for money and close to everything. No one on reception but I realised it was a public holiday so the phone worked to get my key from the box. Good comfortable room. My second stay here. Booked through Virgin when booking my flights and got a great deal. A slightly better room was available for only a couple of dollars more so grabbed it. Nice self-contained apartment. Only negative is the light from outside and the odd bit of noise which is expected in the city I guess. So close to Coles and all the restaurants. Nice and easy. I found the hotel difficult to find while driving there. There was no entrance or independent parking at street level. The hotel parking is in fact the Coles carpark. There was an unpleasant smell in the bathroom. Otherwise good in offering us twin beds and the rate was relatively cheap. This is a great little complex in a really handy location. Right near the bus station and with supermarket and food/Cafes at your doorstep. Staff were friendly as well. My one suggestion to the hotel, however, would be to perhaps lift the game on the cleaning. The little balcony I had was quite filthy (cigarette butts, etc.) and the bathroom could've been cleaned a little better. Nothing too drastic though, but it would definitely improve the apartment. Thanks. We stayed to watch the AFL game that night. It was so easy and just a short walk across the road. Going into the city was also easy as we jumped onto the bus that took as straight into the middle of the city. It was very easy to get around. Next time we stay in Brisbane we will be staying here again.